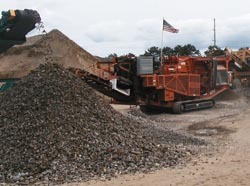 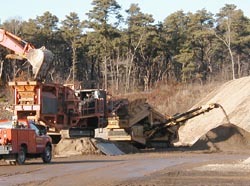 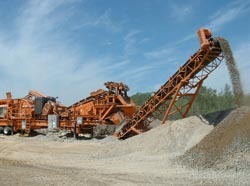 We have our own portable crushing and screening equipment for all of your on site crushing and screening needs. 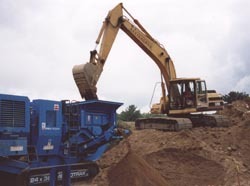 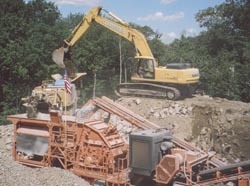 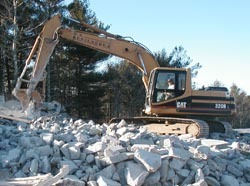 Our equipment includes: Jaw, Impact Crushers, Screeners, and Excavators with Hammers/Concrete Crushers. 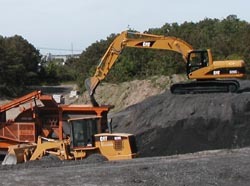 Equipment rentals and roll off trucks are also available. 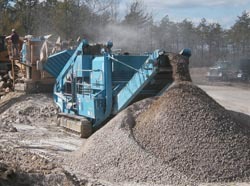 Make your own gravel and t-base as all of our materials are 100% recycled.